O VE R V I E W OF THE POSITION: The Development Director, working closely with the Executive Director, will identify, cultivate, solicit, and steward a robust portfolio of strategic relationships with private and corporate foundations, corporate sponsors, individual donors, and government entities to help build ongoing and sustainable support for Reach Out and Read’s activities in the Greater New York region. S/he will also have knowledge of national prospects as part of our fundraising collaboration with the National Reach Out and Read office. Core responsibilities include: prospect research, lead development, grant writing, and fostering institutional relationships that result in long-term support and commitments. ROR GNY seeks a Director who can be a strategic, savvy and effective champion for the organization and its initiatives, identifying opportunities, building relationships, and establishing strong partnerships where possible. The Development Director will effectively leverage her/his own professional network, relationships with members of ROR GNY’s Board of Directors and Advisory Board, and her/his personal knowledge of the landscape of early literacy, education and health care to manage a solicitation strategy that encompasses a range of funders, including private and family foundations, corporate philanthropies, government agencies and individual donors. The Director will prepare innovative, compelling, and well-written grant proposals, as well as letters of solicitation and appeals that will support an increase and diversification of funding. S/he will also be responsible for overseeing the annual appeal and other special solicitations throughout the year and have experience with major gift solicitations. Additionally, the Director will oversee the effective management of funder relationships, ensuring quality in service, reporting, and open communication. Q U A LIFICATIONS OF THE IDEAL CANDIDATE: The successful candidate will have an exceptional talent for strategically conceptualizing and framing program ideas to a range of internal and external constituencies, quickly mastering the concepts and language surrounding a particular issue or challenge. S/he will have a proven record of successfully stewarding relationships and cultivating long-term investments from public and private sources, including individuals, foundations, government and corporate donors. Superior oral and written communications skills and the ability to convey complex information in a clear and culturally appropriate way are essential. Previous supervisory experience is also required. The ideal candidate will be a high energy, team-oriented individual who possesses flexibility to work in a small, fast-paced office, coupled with a warm, engaging, and polished presentation style. We are an organization that welcomes new perspectives and innovative means of getting things done. The ideal candidate will bring a sense of creativity and resourcefulness to the role, bringing knowledge, expertise, and new ideas that will help the organization grow and flourish. Knowledge of computer systems including Microsoft Office, as well as a command of development office systems (particularly GiftWorks), web design software and online databases is required. A minimum of five years of direct fundraising and grant writing experience is required, along with a bachelor’s degree (master’s degree preferred). A strong personal commitment to Reach Out and Read’s mission is a plus. More information about ROR GNY may be found at www.reachoutandreadnyc.org. Due to the pace of this search, candidates are encouraged to apply as soon as possible, but no later than April 30, 2019. Applications should include a cover letter describing your interest and qualifications, and your resume (in Word format). Salary is competitive. Your documents should be sent to: i nfo@reachoutandreadnyc.org . 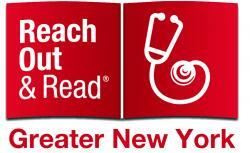 Reach Out and Read of Greater New York is committed to a diverse and inclusive environment. We encourage qualified candidates from all backgrounds and abilities to apply.